After a strong response to Wednesday’s skydiving-infused demonstration of Google Glass, the company decided to talk more on Thursday about its high-tech specs and reprise the stunt. Co-founder Sergey Brin, who made a surprise appearance to talk about Google Glass during Wednesday’s keynote, told people on his Google+ page that he would be back on Thursday with more details on the glasses. 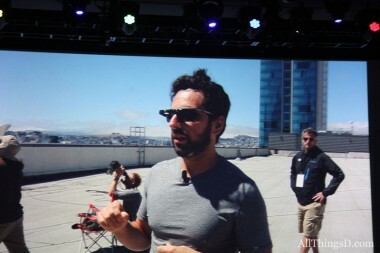 Brin took to the roof of the Moscone West convention center on Thursday to go over the details of how the company pulled off its stunt to use the Google specs even while skydiving. The company pointed RF antennas at the skydivers, and also had to work with city officials and the Federal Aviation Administration, Brin said. “For those of you in downtown San Francisco, this would probably be a good time to peek out your windows,” Brin said, ahead of the Thursday skydiving attempt. The skydiving was followed by a repeat of the other stunts, including glasses-wearing bikers and a glasses-wearing rappeler swooping down the side of the convention center. “I’m hoping this is going to lead to something really exciting, going forward,” Brin said of the Glass project. Google said on Wednesday that U.S.-based attendees of the I/O conference would be able to preorder a $1,500 early version of the glasses, to be delivered early next year. The company didn’t give out a ton of details, but that didn’t seem to slow enthusiasm. 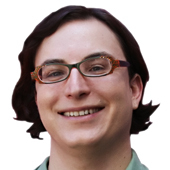 More than 1,000 developers had taken Google up on its offer by late afternoon on Wednesday.